When we are unable to manage our own lives or those of a family member at home, assisted living and nursing facilities are options. 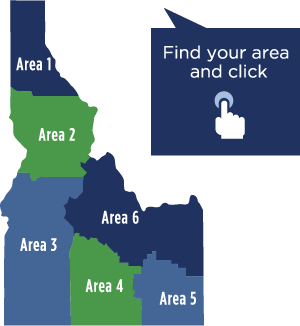 However to ensure that we still have our rights, Idaho’s Long-Term Care Ombudsmen are available to protect our health, safety, and welfare, when residing in a facility. For long-term care concerns, contact the State Ombudsman located at the Commission on Aging or a Local Ombudsman at an Area Agency on Aging. Ombudsmen contact information is also posted at all facilities. We can use the area map below to find the nearest AAA to us. Also to the right, “Quick Tips” and “Resources” are available to better assist us with finding reliable information and supports. Nursing Home Discharge Fact Sheet – You’ve been told to leave now what?